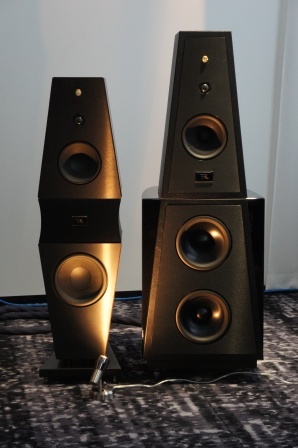 Here is a short show report from the Sweetspot Hifi Show that took place in Stockholm 16-17th of February 2013. 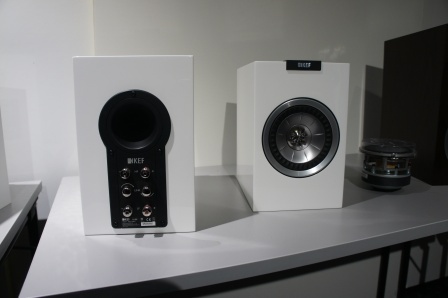 The S5 and the new S1 from Magico. 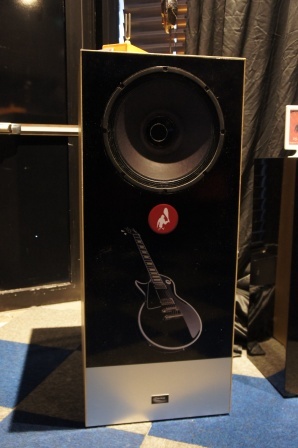 Unfortunately I had no opportunity to listen to the S1, but i listened to the S5 and wasn’t impressed. 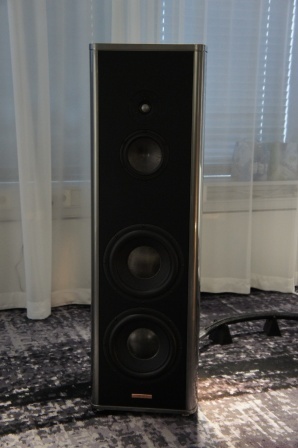 In fact it was the same impression I had with the Q3 at the last years HighEnd Stockholm Hifi Show. 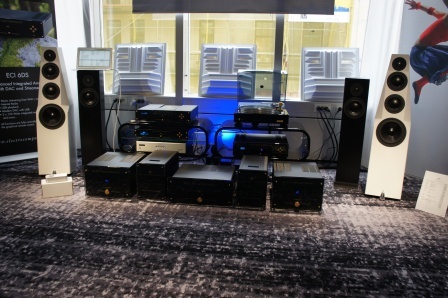 The SA Mantra series from SystemAudio. I listened to the Mantra 70 and it sounded good with nice fast bass and it was paired with new prototype electronics from Primare. 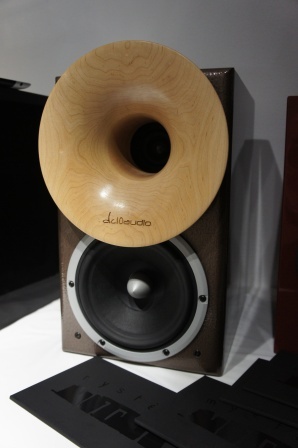 Loudspeakers from Blumenhofer Acoustics. 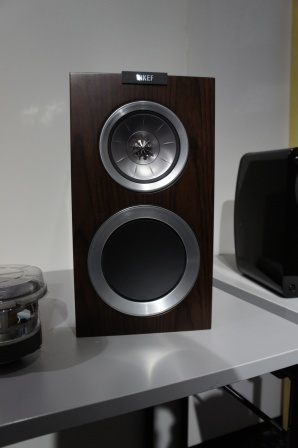 Interesteing concept with adjustable (time alignment) compression horn driver and the sound was quite nice. 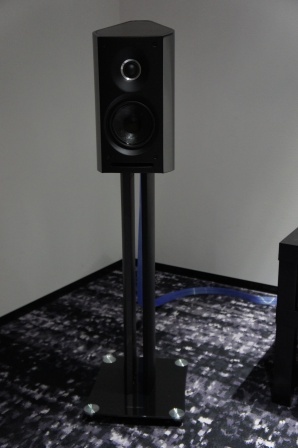 The Blade and R series of concentric loudspeakers from KEF. 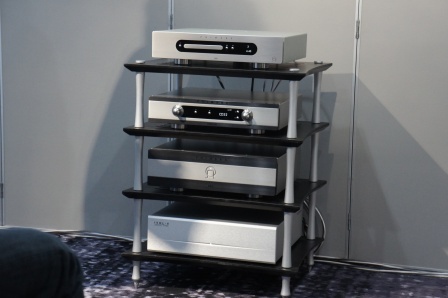 The Blade reference system (top picture) offered one of the best sounds of the Hifi show. They had great bass with a huge sound stage and a bit forward sounding. Very good! The Volterra and Siena from Rosso Fiorentino. 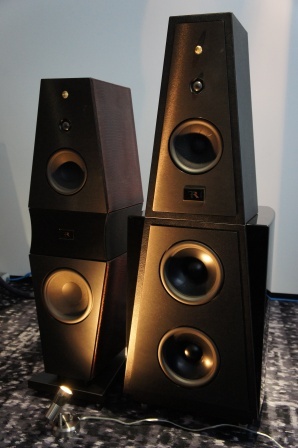 Very nice sounding loudspeakers. 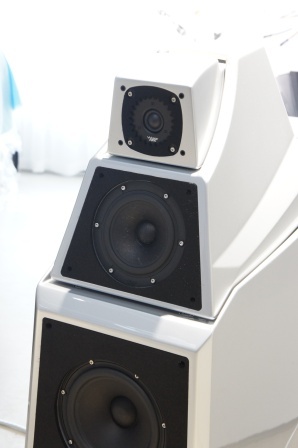 Loudspeakers from Totem Acoustic driven by electronics from Electrocompaniet. Nothing special in my opinion. 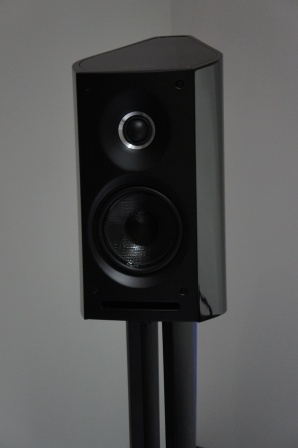 The QM10 from Guru. Unfortunately, these where only on display. 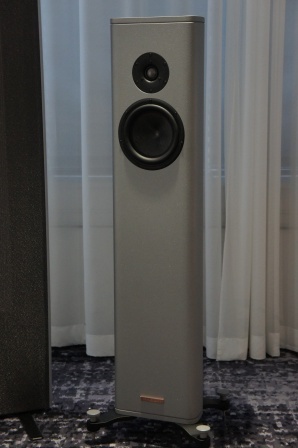 The Alexia from Wilson Audio. It was played very strong in a very large room, but sounded quite good even though the tweeter was a bit exaggerated. 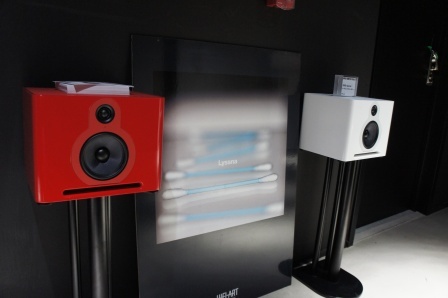 Left: From Ukraine, the Contrast loudspeakers. 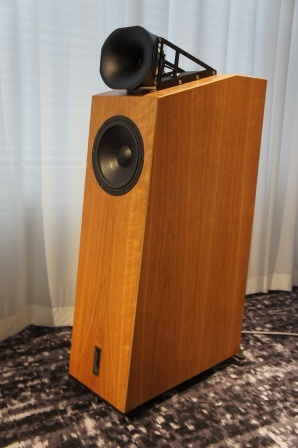 They where driven by tube amps and especially the stand-mount loudspeaker sounded quite nice even though it was very light in the bass region. 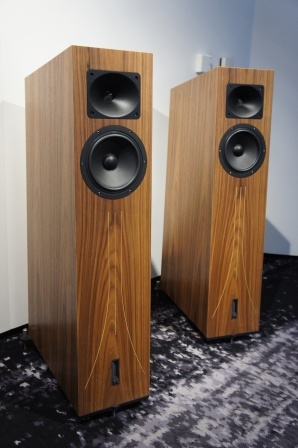 According to the manufacturer they have a high sensitivity of about 93dB and they have wooden phase plugs and wooden details in the loudspeaker cones. 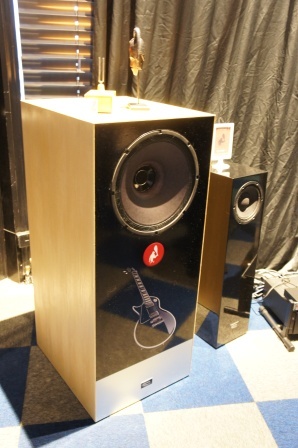 Right: The Berlin II mini monitor from dc10audio using a horn and what they call an “internal tonewood resonator — the “Instrument” paired with a 6.5” Peerless HDS driver. 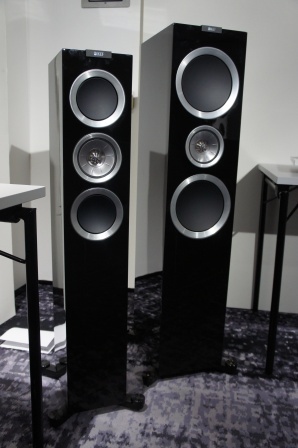 Unfortunately I didn’t have the opportunity to listen to these odd looking stand-mount loudspeakers. 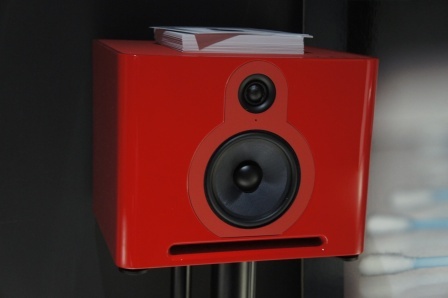 Dc10audio claims a sensitivity of 94dB, which is of course ridiculous considering that the used mid-woofer is expected to give 8-10dB lower sensitivity in such a design. 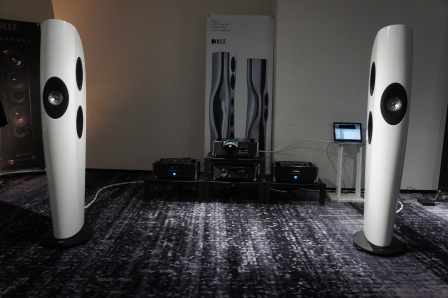 The Oval series K1 from VividAudio. 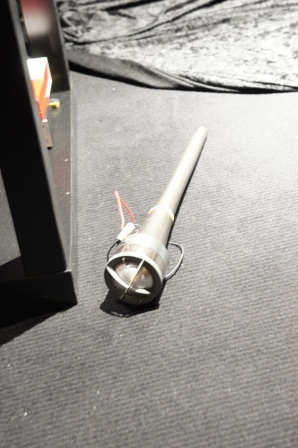 Left: I was amazed that people sat and listened to a broken loudspeaker (tweeter) and enjoyed it! 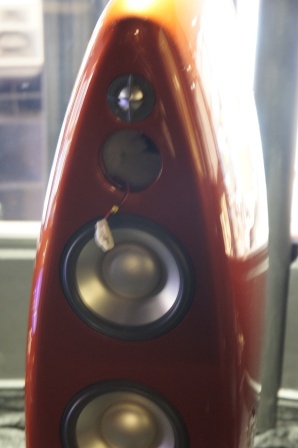 Right: The broken D50 tweeter supposed to cover the 900-4000Hz range. Note! The non “HighEnd” style of cable and connectors. 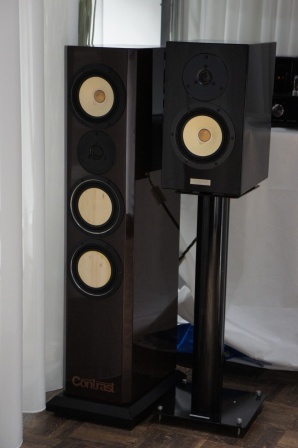 The Swedish Caveman “Bauta” from nofrills audio using an OEM version of the Beyma 15XA38Nd 15” co-axial driver. 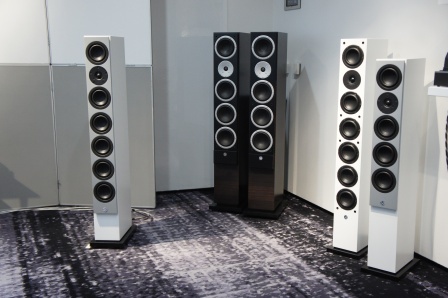 Not my type of loudspeaker, but these sounded good and far better than the Tannoy loudspeaker described here HighEnd Stockholm 2013. 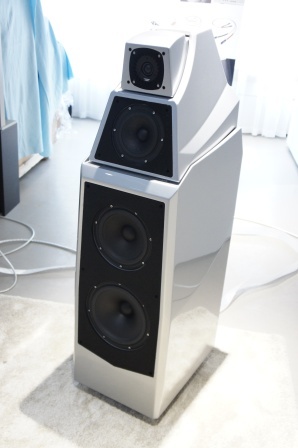 It’s sold as a DIY kit or as finished loudspeakers.